Situated 35 km south-west of Jaipur on Ajmer road along National Highway No. 8 in Rajasthan. This ground level fort is still in good shape. 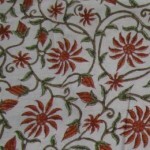 It is noted for its hand printed handloom industry using simple techniques. 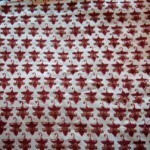 The designs of these handlooms are less complicated and the colours are of more earthy shades. 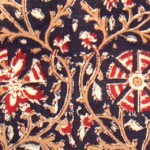 This entry was posted in Bagru, Rajasthan and tagged block printing, etching, garment, garments, handicraft, handicrafts, handloom, print making, printmaking, rajasthani, textile. Bookmark the permalink.